There are so many ways you can help dogs, some little, some big. Remember, every bit helps. 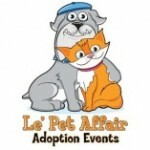 • You have probably heard of www.theanimalrescuesite.com and yes, not only is it legitimate but it’s also free. You simply click on the ‘Click Here to Give’ button and voila. You have just provided .6 of a bowl of food to an animal shelter. Just like that. The food is paid for by the sponsors and if you buy from them you might be increasing the amount of food. By the way, there are other tabs on the site and you can aid in their causes too. You can do this only once a day from any computer. • Coupons: Most of us get coupons in our local papers and usually, especially Sunday’s edition, have a number of dog and cat food coupons. Even if you are not a pet guardian, you could help someone who is. Cut out those coupons and the next time you are in a grocery store, leave the coupon by the appropriate food item. It might not seem like much to you, but saving $.50 to a dollar or more, could mean a lot to the pet guardian who uses it. • Food: If you have some spare money, you can buy dog food and donate it to your local shelter or dog rescue group. • Have a yard sale to raise funds for your local shelter or rescue group. • If you are an Eagle Scout or have a high school community project to do, consider volunteering in an animal shelter or rescue group. There is a real need for people to bathe the dogs and walk them. • Do you like “garage sale-ing”? Many people who have sales wind up donating their leftover clothing and other items to a local charity. Ask them if they have any towels and/or blankets left – even dog houses, would they consider donating them instead to their local shelter or recue group instead. In the past, we have been given such items, dropped them off at the shelter and rescue, and even brought back the receipt and given it to the donors. • Food Banks: There are a few pet food banks around the U.S. If there isn’t one in your community, consider asking a local food bank if they would consider add pet food as a regular item to be given to pet guardians in need. Often, when family financial situations are not good, the pet is the first to go. Frequently, these dogs and cats are simply abandoned. If pet guardians had access to free pet food, they could possibly keep their pets until things get better. This is especially important to seniors who depend on their pets for companionship and comfort. • Keep a leash in your car in case you see a stray. Keep some strong smelling dog treats to coax the dog to come to you. If you sense that dog might be aggressive, it is better to leave it alone as you should not risk serious injury to yourself. • Keep a small bag of dog food in your car in case you see homeless people with pet dogs. Check back regularly as we are constantly adding new ideas. If you have a good idea to help dogs, contact us. The Los Angeles Animal Alliance is a 501(c)(3) not-for-profit corporation dedicated to creating high-impact programs that help humane organizations and local communities work together to increase adoptions, promote spay/neuter, maximize life-saving and end the euthanasia of healthy and treatable animals. 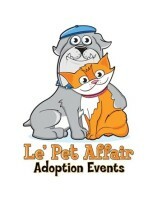 Come meet over 125 adorable dogs and cats available for adoption from many rescue groups and animal shelters. WHEN: Next event is Sunday, April 14, 2019 from 11 a.m. to 4 p.m. Always on the 2nd Sunday of each month! Contact: info@EvidenceOfLove.org to get more information. California Senate Bill 917 increases the amount of jail time a judge may issue to a person convicted of animal neglect. Animal neglect is a form of cruelty that is less obvious, but more common than the beatings, fights and acts of torture that tend to grab headlines. Neglect causes extreme, prolonged suffering—sometimes even death—and is just as serious an offense as intentional physical cruelty. Get together with your friends to pass similar laws in your state. Report animal abuse to your local police. county sheriff, and/or state law enforcement. L.A. started a dogfighting anonymous tip line. Work with your local law enforcement authorities to enact the same type of program. Remember, it starts with you. Check your yard 2 to 3 times daily for mushrooms and foxtails and get rid them immediately. In the early 1980s, the animal research program of the University of California at Berkeley was being rocked by internal strife, by USDA, and media reports of gross negligence and animal abuse. 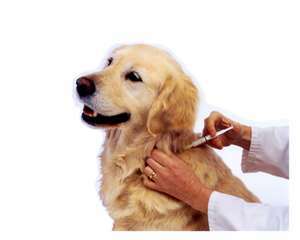 One campus veterinarian had resigned out of frustration with the administration’s unwillingness to allow him to enforce even the most basic tenets of the federal Animal Welfare Act. Another campus veterinarian was under attack by the administration for refusing to sign required USDA documents that would allow the campus to continue to receive federal research funding. 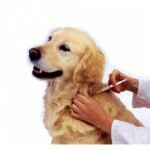 Eventually, the media publicized the administration’s attacks on the campus veterinarian. Dr. Elliot Katz, a veterinarian new to the Bay Area unsure as to whether the abuses were blown out of proportion, set up meetings with the two campus veterinarians. The reality was worse than he had imagined. Animals living in grossly overcrowded and filthy facilities were suffering and dying by the hundreds from heatstroke, complications following surgery, gangrene, and bacterial and viral epidemics. Campus veterinarians were unable to perform their jobs, and in some instances, were even locked out of laboratories where animals in need were sick and dying. Determined to improve conditions for the animals and the veterinarians at the university, Dr. Katz brought together a group of concerned citizens whose sole intent was to bring legal action against the USDA and the university. The group, initially called Californians for Responsible Research, filed a lawsuit against the USDA that forced the agency to issue a cease and desist order, ultimately fining the university $12,000. Three years later, Californians for Responsible Research became In Defense of Animals (IDA). During the past 26 years, under Dr. Katz’ direction, IDA has expanded its mission and has grown to be one of the nation’s foremost animal advocacy organizations dedicated to ending individual and institutionalized animal abuse—doing so by protecting and defending the rights, welfare, and habitats of animals worldwide. IDA has worked tirelessly to end exploitation, cruelty, and abuse in the darkest of places, seeking to make the world a more just and compassionate place for all our fellow beings. The life of every individual animal is valued, and IDA’s express purpose is to raise the status of animals beyond mere property, commodities, objects, or things. Sixty-four staff members are located throughout the United States, Africa, and India. IDA conducts educational outreach as well as protests against the harming and killing of animals by the fur, puppy mill, food, and entertainment industries as well as animal experimentation. The following is a list of some of the campaigns that are making a profound difference: The Guardian Campaign; Anti-Vivisection; Captive Elephants; Foie Gras; Veganism; Puppy Mills; Fur; Marine Mammals; Exotic Birds; Animals in Entertainment; Korean Animal Abuse; and Wildlife. IDA has 3 sanctuaries and rescue centers: Project Hope in Mississippi, IDA Africa, and IDA India. Each campaign has numerous programs that support the goal of the campaign. To learn more, please visit www.idausa.org. Sharing expertise, documentation, knowledge, and undercover investigations with the public and other animal-protection organizations, IDA has greatly magnified its reach throughout the US and the world, resulting in more energy expended on behalf of saving animals’ lives and ending their exploitation. Specific achievements, landmark legal victories and highlights of IDA’s work over the years can be seen at www.idausa.org/about.html. IDA’s long-term goal is for every animal to live the natural life he or she was born to experience—a life free from fear, abuse and in his or her natural habitat whenever possible, or at a sanctuary. • To start, sign up at IDA’s Action Center (http://ga0.org/indefenseofanimals/home.html) to receive IDA e-News and local alerts that are specific to your area. • Volunteer with IDA. We have volunteers all over the world that assist us with writing, editing, proofreading projects, Web and Internet assistance, administrative and technical support, and more. If you are interested in volunteering, please contact hope@idausa.org. • Be a Volunteer Activist. IDA has seven International Days of Action. Most importantly, stay in touch with IDA through our free weekly e-newsletters and Action Alerts and by visiting our Web site at www.idausa.org.